The only survivor of his kind, Thierry (but born Bernard of his first name) L’hermite, undertakes a long adventure that may lead him to the remains of his ancestors. 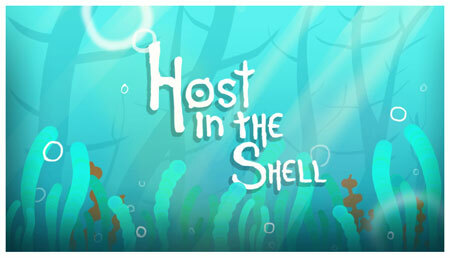 Bernard will have to brave the dangers that await him hides in the marine depths by changing of “shell-house” which grants him each of the different abilities. This entry was posted on Tuesday, February 5th, 2019 at 11:58	and is filed under Weichware, Zeit und Raum. You can follow any responses to this entry through the RSS 2.0 feed. You can leave a response, or trackback from your own site.